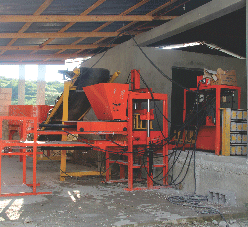 As a result of our Haiti Fundraising, we were able to support the purchase of food as well as a block making machine that helps move people out of disease infested camps into permanent homes. Below is a letter we received from from our Relief Team in Haiti. Thank You for your MUCH NEEDED support in Haiti. We are already buying food, and are now feeding over 8,000 children per day! As you can imagine it takes a lot to continue to feed all of these children. 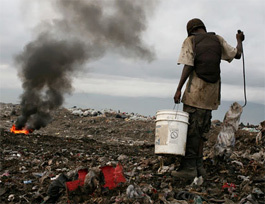 The economy in Haiti is worse than it has been in quite a while. More schools have come to us seeking aid because they are not able to pay their teachers. Entire schools are about to shut down because of lack of funds. It's been a difficult school year already. Unfortunately, our funding has also been lower than usual as well. It breaks my heart to see the overwhelming need that the people have and we are not able to do anything about it. Thank you for all that you are doing on behalf of the Children in HAITI. We are making every dollar count! The block making machine is up and running! We are currently producing 2000 10" blocks a day. So far we've been able to build more than 50 homes. It has changed the lives of many families. Small children no longer have to live in conditions that cause physical illnesses such as ringworm, malaria, and dysentery. The machine has already produced 8 full time jobs with more expected soon. We will soon begin teaching young men how to build homes. 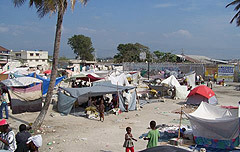 EVEN BEFORE THE DEVESTATING EARTHQUAKE STRUCK HAITI ON JANURARY 12th 2010 the conditions in Haiti were atrocious. THANKFULLY, Children’s Hunger Relief Fund already had pre-existing projects on the ground in Haiti to attend to the great needs of the sick and starving children and families. CHRF sent out a team just days before the quake struck in order to survey and inspect our current projects on the ground. 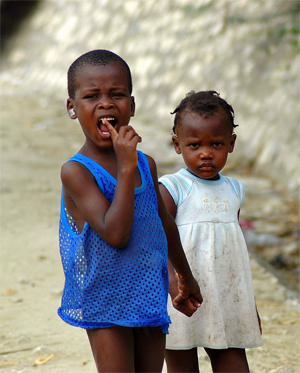 In Haiti fifty percent of children die before the age of fifteen. This is a statistic from a nightmare. Not much hope lies in the future for the other fifty percent of Haitian children that survive. Thousands of children are homeless and are forced by painful aching hunger to scavenge garbage dumps for their next meal. 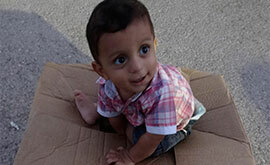 Kids can constantly be found finding shelter and sleeping in the remnants of abandoned car crashes. When the children run out of totaled cars to take shelter in they often choose the sewage gutters to sleep in because in their winter season it is their warmest option. But Haitian children are not without creativity; they are world-renown for their “mud pies”. Made out of dirt and oil and baked in the sun the children have resulted to this horrific recipe to avoid starvation. An estimated 44 children die hourly in Haiti. Most of these deaths could have been prevented if the children had received proper attention. One CHRF team set out to inspect and assist the children of Haiti as they struggle to survive in their infamous conditions. While the team was shocked and disturbed to find children living in these circumstances it reinforced their missions purpose. One member of the team was especially impacted by the trip, “I’ve never even imagined poverty like this, it breaks my heart to see kids starving and eating dirt off the ground. I’m so glad we are in Haiti to help and spread awareness so that these children may be rescued from sickness and starvation”. Beyond feeding programs Children’s Hunger Relief Fund has rallied behind the top school and medical clinic in the country. By providing the children of Haiti with proper medical attention and a valuable education we are working together to ensure that these atrocious conditions in Haiti come to a closure. BUT THAT’S NOT ALL. 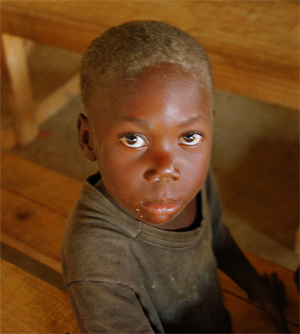 In 2009 Children’s Hunger Relief Fund provided our projects in Haiti with over $530,000 worth of aid! Clothing, shoes, school equipment, food, medical supplies, you name it, we delivered it! Please help us continue feeding and helping the children of Haiti by donating online NOW! After the devastating earthquake struck CHRF is increasing our efforts to provide relief to the country. Food, clothes and medical supplies are much needed now more than ever. From the CHRF Haiti Team we send out a HUGE Thank You to all of our donors! When thousands of children are close to death from starvation and only 50% of them live to be 15 years old. Where there is only one doctor for every 10,000 people and as unemployment reached 70%, Haiti has become one of the most desperate countries in our world. Thousands of children can be found on the streets searching for clean water and a place to rest for the night. 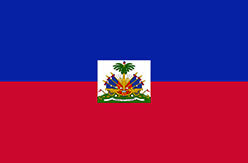 In order to help the children of Haiti we have committed to feed, provide, care for and educate the children of Haiti. Through a dynamic partnership with local volunteers we can provide nutritious meals for over 1,500 malnourished children five times per week. Beyond just providing immediate help to the Haitian children, CHRF has committed to develop long-lasting projects by digging wells, funding schools and establishing a much needed full time medical clinic. With a rapidly declining economy, food shortages and an extremely dangerous hurricane season Haiti remains a nation in dire need. Thank you for joining Children's Hunger Relief Fund in our effort to transform thousands of Haitian children into self-sustaining individuals. THIS IS WHAT WE'RE DOING ABOUT IT! It has been a blessing to see how our partnership with Children’s Hunger Relief Fund has accomplished so much. During the most difficult economic times that we have seen in many years, we have been able to make great strides forward in many directions. My hope is that this letter and the newsletters, which we send you each month, can give you a small glimpse of the enormous impact that your partnership with us has made. To begin with, we have been able to feed more children than ever before. 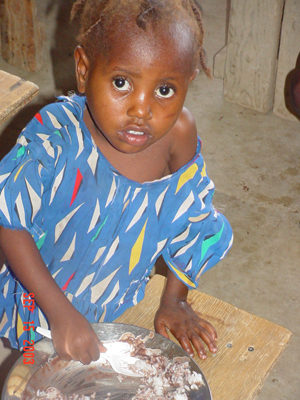 Two thousand children a day are now enjoying a hot nutritious meal (many times this is the only meal they get). 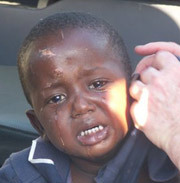 These children have been rescued from near death starvation, and given the love and care that they so desperately need. It’s amazing to see such a wonderful transformation in so many lives simply because of proper nutrition. Twelve different schools, three orphanages, and a host of other children are being fed five days a week. This doesn’t include the many emergency meals that are regularly given out due to drought, floods, hurricanes, etc. Lifeline is now reaching more people and saving more lives because we have more funds to work with. You are a real part of this growing and vital mission effort! Thank you for you support! Along with the feeding program, we have been able to open a full time medical clinic that provides health care for the most poverty stricken children and adults. This clinic is another way of reaching out to the most vital needs of the most desperate people. Statistics tell us that there is approximately one doctor for every 10,000 people in Haiti. It’s difficult to imagine how the Haitian people are able survive at all. Many children die because of curable diseases, worms, and parasites. Sometimes it just takes pennies to make the difference between life and death. We continually faced situations where the children were dying due to the lack of medical aid as well as tragically starving to death without food. This medical clinic is a beacon of hope to many of the people that walk for many hours to be seen by a wonderfully qualified Christian Doctor. What a blessing to be able to make a difference in the lives of so many! This past August, we were able to open a Trade School, where ladies learn how to sew their own clothes, as well as create a business for themselves by making clothing. Skilled labor is extremely scarce in Haiti, so we are striving to train young men and women in trades that are needed and useful. Once trained, they can provide for their families. It’s an uphill battle in a country where there is 60 – 70% unemployment rate. How amazing it is though, to see a young man learning how to make concrete blocks and to construct his own home with his own hands. The joy in their faces is worth so much! We are not just fishing for the people . . . we are teaching them how to fish so that they can make a better life for themselves and their families. In the near future we have hopes of starting classes that would teach agriculture, welding, carpentry, typing, computers, English, and more. The ideal mission is one that can successfully work itself out of a job. We would love one day to know that the effect we have on the Haitian people lasted from generation to generation. 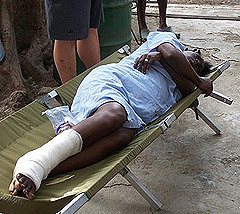 If the food shortage, economic difficulties, and lack of medical care weren’t enough, Haiti was hit severely with four extremely damaging hurricanes. This impoverished land that has already been stripped of almost all of its trees, melted and washed away when the heavens opened up and dumped an amazing amount of rain out. For many days the rains continued to bombard the land and wash everything away. Hundreds of people died and thousands of homes were destroyed. Many people lost the few possessions they had in this world. During that time Lifeline was able to hand out emergency care kits and over 256,000 meals in just a few days. We partnered with the U.S. Navy Operation Hand Clasp so that necessary food and clean water could be flown in by helicopters to places where no one else could reach. Much of this effort was successful because Children’s Hunger Relief Fund was able to give us a donation just at the right time! I am continually amazed at the timing that the Lord has. Only eternity will be able to tell how many lives were saved because of your willingness to be generous and in turn fed thousands of people. I realize that times are difficult. The economic situation is seemingly unbearable and no improvement is apparent at this time. But my friends at CHRF you must recognize even in these terrible economic times God has blessed these mission efforts and the fundraising necessary to make everything continue. I love the song that says “the darkest hour means dawn is just in sight.” I administrate this mission with this thought continually in my mind, “this is God’s mission and I know that He will provide for our every need.” You have been one of those provisions that God has sent to us. Friends, I can’t tell you how much the support that you give means to these mission efforts. Every time that I think the situation seems bleak; I get an email saying here’s a donation to help the mission. You have been an answer to prayer for us many times and in many ways. Words cannot describe what your efforts mean to us. I write this letter to help you understand that we haven’t set idle in any way. We have been extremely busy doing the mission work that God has entrusted us with. Advancements have been made, lives have been changed and saved, and hope is being given to the people of Haiti. You have been a tremendous part of everything we have done. 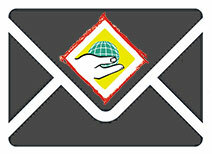 I sincerely pray that you will consider very intently continuing to partner with our mission efforts. As you may know food prices have soared in the past several months. Last year at this time a bag of rice cost $41.00. That same bag of rice is now over $70.00. The budget gets harder to meet every day. We depend heavily on people that have a heart to help some of the poorest children in the world. We are striving to do all we can, but as you know without the necessary funds everything will come to an abrupt halt. If there is anything at all that you need or any questions that you have, please do not hesitate to call or email me any time. Thank you from the bottom of my heart for all that you do for this mission and so many more. May God bless you for your efforts!